We believe that your garden room should be as well insulated as your house - and in many cases, even better. It should be warm and comfortable to use all year round. 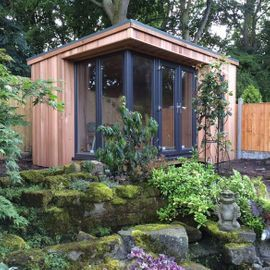 We believe in the quality of our garden room cubes and only use the best materials passable and this is what truly sets our buildings apart from many alternatives. SCB build using the same materials as those in a modern timber framed house, Structural grade timber, walls and floor, all walls and floor are fully insulated, we also use a hi tech 150mm thick insulated roofing panel systems which will reduce heat from above on hot days which significantly increases comfort levels under the roof. 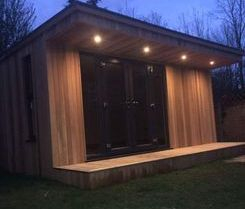 It also reduces noise from heavy rain and will aid in keeping the interior of your cube cool and then keep heat in though the winter months , fully plastered, skirting boards and stunning 18mm Weston cedar exterior cladding, (other materials can be used like iron ash timber , rendered colour finish or even colourbond ). As our cubes are not prefabs they are built on site then this gives you the option to have different size doors, window and style of cube were and how you would like, to suite your needs. 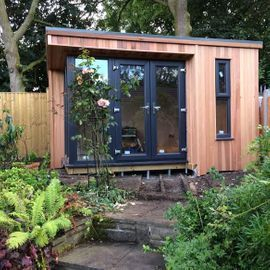 Our garden room cubes can be enjoyed for many purposes including play rooms , home office, games room , granny flats , extra living space art studios. we can fit kitchens and bathrooms into our cubes , electrics, aircon, TV point, phone line ,data cables . If you have an idea, talk to us, let's bring it to life. Here are some examples of sizes and lay outs which the cubes could be used for. Starting prices are for our standard cubes ,we have optional extras like larger doors / windows , decking area, canopy roof at front or sides, 90 degrees window / door, lights on front or side of cubes and as the cubes are built onsite we can keep the extras cost down to a minimum also if you have any ideas you want to add just ask. All prices below are for the build of the cube structure only including supply and fit , please note these prices do not include the cost of fitting en suite this would be an extra cost. 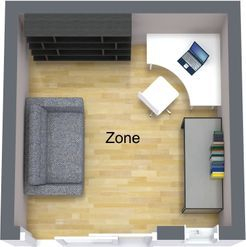 Here is an example of a 3 meter by 3 meter cube used as a home office , computer desk, filing cabinet, small sofa and TV . The cube has sliding glass doors to enter and window to let even more light in . As our cubes a not prefabricated we build them on site, this gives us the option to make them a little larger or change the shape of them to suite your needs and lay out of your garden. Prices for this size start from $16,500 for standard cube (canopy add on additional cost) supplied and fitted cube only. 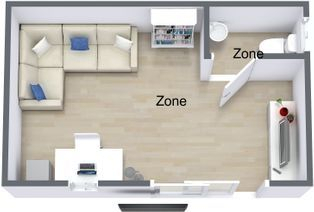 Here is a example of a 3 meter by 4 meter cube used as a teenage hide away, sofa, TV entertainment unit , sofa and also a separate toilet and basin. The cube has sliding glass doors and window to let even more light in. Prices for this size start from $19,000 (canopy add on additional cost) supplied and fitted cube only price. supplied and fitted cube only. 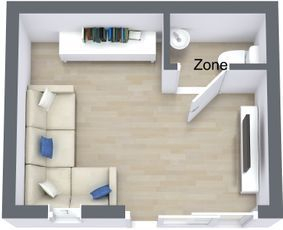 Here is a example of a 3 meter by 5 meter cube used as an office / relaxing area , and en suite with toilet, basin. The cube has sliding glass doors and window to let even more light in. Prices for this size starting from $22,000 (canopy add on additional cost ) supplied and fitted cube only price. 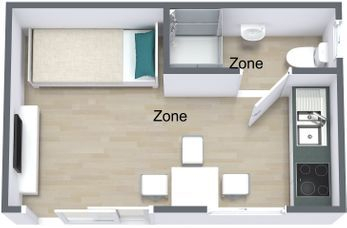 Here is a example of a 3 meter by 6 meter cube used as a extra, bedroom with en suite bathroom with shower , basin and toilet and living area. The cube has sliding glass doors and two windows. Prices for this size starting from $24,800 (canopy add on additional cost) supplied and fitted cube only price. 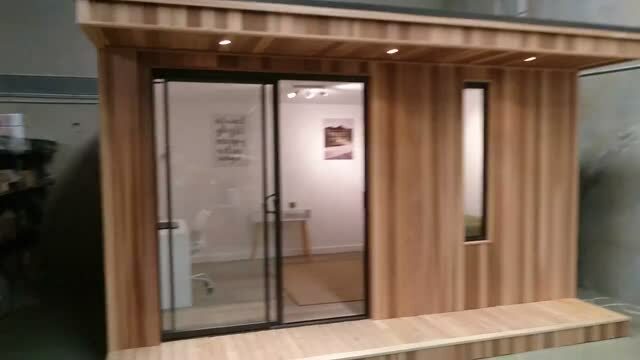 we now have a display garden room cube in a unit in Wangara so you can come see our cubes first hand , you will get a feel for the sizes , look and finish of our cubes and also can get to see how they are built , please contact us for more information . 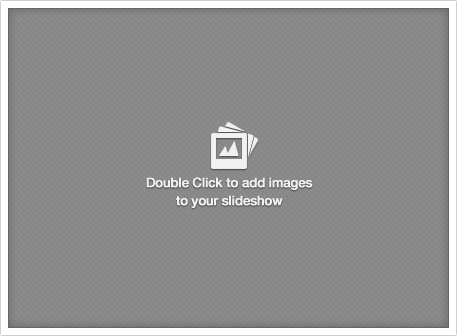 Only deal with one company from the start to the finish of project. 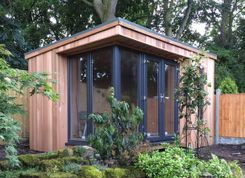 OUR GARDEN ROOM CUBE WITH OPTIONAL EXTRA OF 90 DEGRESS WINDOWS AND DOOR.